Malibu Village is a first-class resort located in Canet en Roussillon, France, along the Mediterranean coast near the border with Spain. This perfect location provides you with access to an unprecedented number of outdoor activities along with the amenities and features of the resort. Canet en Roussillon timeshare resales at Malibu Village provide an excellent opportunity for shared ownership in a holiday resort in this desirable location. 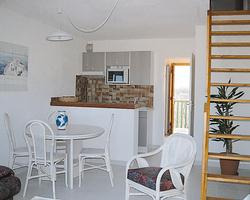 You can select a studio, one or two-bedroom holiday apartment with a kitchenette, private bathroom with shower or bath and a balcony with views of the gardens or pools. Each unit is air-conditioned, has an entertainment system and access to the Internet. The Malibu Village resort offers a tranquil atmosphere for the whole family. It is surrounded by a beautifully landscaped pedestrian village and has six swimming pools and a poolside bar, as well as a children’s pool and a game arcade. There is basketball, volleyball, tennis and squash courts on-site. You can enjoy the miles of beaches on the Mediterranean Sea or explore the rivers and lakes in the nearby mountains. The resort is just minutes from nightclubs, a salon and spa. There are three on-site restaurants and a snack bar for the days you do not feel like cooking at your unit. There is also a lot for the history aficionado to enjoy in the area with several ancient cities still intact. Buying a Canet en Roussillon timeshare resale in this resort will give you and your family the chance to have a world-class vacation every year for a price you can afford. You can own your vacation in one of the best holiday spots in Europe on the sunny shores of the Mediterranean Sea. Surrounded by ancient towns and cities, just steps from the sea and close enough to the mountains for great hiking, biking and rock climbing, your timeshare will provide years of pleasure and play for a weekend getaway or a full family vacation. Contact Malibu Village Specialist Today!